Are you an advertiser who spends in between the range of 50$ to 500,000 $ per month? It is very common to use social media for B2B lead generation. How many people use Google ads today & how many use Facebook ads? Do you want to cut down on your expenses by focusing on either of the options? The answer to this isn’t pretty simple but you have learned a few facts. Both Google & Facebook Ads are paid systems but you want to where you can to justify your investment. If you post on Facebook, you will be posting to about 2.23 billion monthly active members. This is the number of users who have logged in during last 30 days. Google has 2 million websites on its display network & covers 90% of the internet. It’s a network designed by Google to help you find the right audience using its targeting options which show your messages to the desired audience while they are watching a YouTube video or browsing on the favorite website. Search Network is different than Display Network in the terms that it captures someone’s attention even before people start searching for specific products/services. Now, that you’ve understood how far these networks can reach, let us compare them. Though these 2 giants have many things in common, there are certain differences in them. Both of them present robust targeting options. In one of the articles, this was quoted about Facebook & Google by someone Staltz “These are no longer the same companies as four years ago. GOOG [Google] is not anymore an internet company, it’s the knowledge internet company. FB [Facebook] is not an internet company, it’s the social internet company. Did you notice where the difference is? People use Google to search for knowledge & surf Facebook to socially interact. So naturally, the way they target is going to be different. Let us see how Facebook targets & how Google targets? Google targets on the basis of keywords & behavior Whereas Facebook has a lot of information posted by its users like birth date, current company, Country of residence, personal beliefs, ideologies, etc. Facebook’s targeting capabilities are very impactful as they are based on life-changing events such as people getting engaged or married, having a new baby, getting old, etc. Google helps you find new customers but Facebook helps new customers to find you. Where can you place Ads? Facebook places in the news feed, audience network, messenger, Instagram whereas Google places its Ads on YouTube, display network which spans 98% of the internet, Google Play, Google Search. If you are displaying Google Ads on Google Search Network, your ads will be displayleaed to those who search using the keywords you have mentioned. It can also appear on search sites other than Google. You can also target to pages that resemble your advertising message. What is facebook Leads ads? This is a cost-effective tool as the cost per lead is 8 times less in comparison with other online advertising channels. With Facebook, you can create a Lookalike audience which is a list of people which Facebook gathers based on the parameters you provide. These are the people who are interested in your products because they are similar to your existing customers. Facebook does audience segmentation i.e, it will provide Facebook profiles. Facebook ads are highly visual & Google ads are text-based & offer you flexibility but they are not engaging as Facebook ads. With Google, you can only give a rating but with Facebook, brands can interact with their customers using answers and questions, give additional information. The guideline is this that all your B2B marketing has to be done using Google but you need to decide whether you can go for Facebook on the basis of the to which your product is engaging. 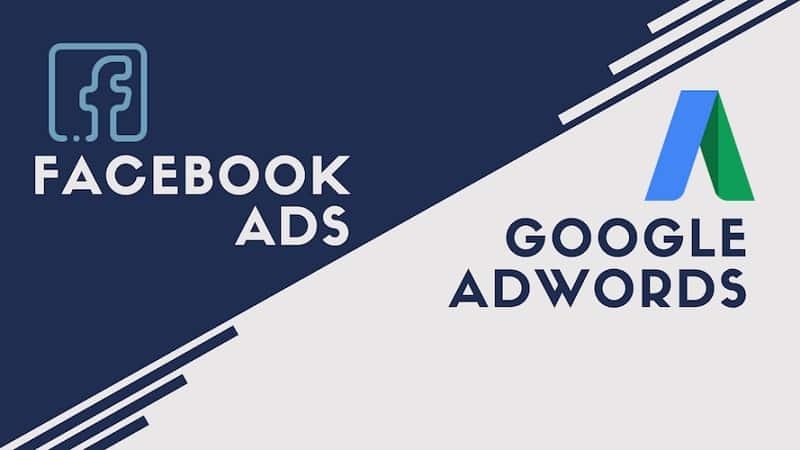 You can choose Facebook ads when you need to build awareness, grow your audience, and when you want to share innovative & new products but Google Ads is best for getting immediate sales & leads, and products and services with the high intent of buying during the search. Few industries are highly competitive within AdWords that you very high budget to increase your cost per click using Google Ads. In this case, you might try Facebook as it offers less competition. Also, where you want to advertise depends largely upon which of sales funnel goals you are focusing on. When considering Top of the Funnel goals you would like to opt for Facebook as it can spread awareness to make the products viral soon. On Facebook, people share things that matter to them the most which rarely come in middle & bottom of the funnel content. With Facebook, you can relate to their experience by being creative. An example of Dove’s ‘You are more beautiful than you think’ is an example of a viral campaign which touched the hearts of many. Participants were asked to describe their faces & their relatives were too asked the same. This was concluded by a thought that people are overly critical of themselves & it touched hearts of many. In just 10 days it got 630,000 shares. Finally, it depends on whether you are going to have these ads made for a B2B or B2C business. Depending on that you need to decide whether you are going to go for Facebook or Google Ads. If it is for B2B businesses, you will get more traffic from Google Ads than from Facebook Ads whereas Facebook is well suited for B2C businesses. For you to choose any of the options it is necessary to find that you are not driving the wrong traffic. A good advice by Disruptive Advertising says that B2B people might start and invest 90% of the paid budget into Google Ads & 10% into Facebook Ads i.e., start with Google Ads & retarget with Facebook Ads. For B2C businesses, If you have a product which costs more than 500$, start with Facebook otherwise start with Google Ads. Let the data & strategies guide you which you know are the best for your niche products. It is very necessary to consider using both Google & social media for B2B lead generation. You are the best guide yourself as every business & its market are different. We are eager to hear your experiences with regards to this. Let us know in the comment section below if you found our advice helpful.